Coming before God and people, we brag on ourselves. It’s only natural and so we all do it even if only to ourselves to avoid a point of humility. The “we” above are professional fishermen who should know when the getting is good especially by working all night. Which reminds me: we are so proud of our efforts and sacrifices. And when we have put a lot of effort in error it is all the harder to change course. God forbid that we sweat for nothing and have to start over. 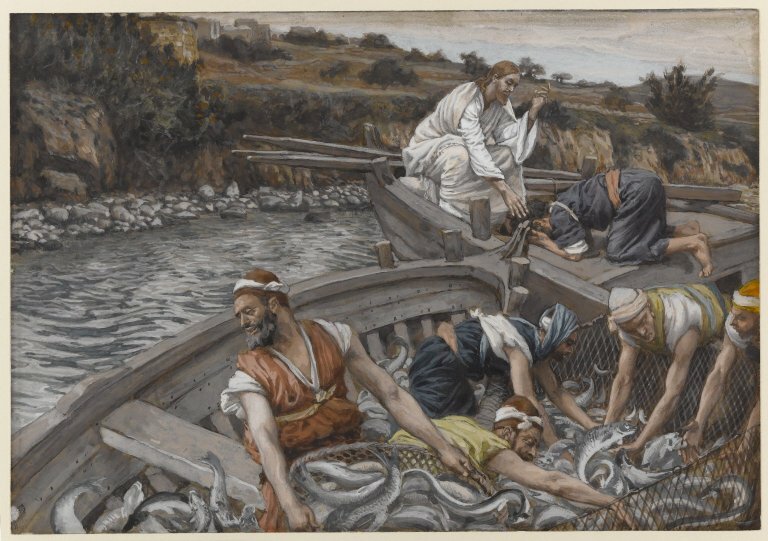 So Jesus comes through with a miracle that is so overwhelming that Simon Peter can no more grasp His grace than the nets could hold the fish. Simon Peter pointed to the inner battle of his heart between superficial thinking and faith. Faith won but not the expectation of grace that comes with it. In that sense he is like Adam and Even in covering themselves to compensate for their inadequacy in God’s presence. But instead of Jesus triumphing over him, even mocking Simon Peter’s resume of his life’s work, Jesus points to his resume of future deeds. There is a beauty to such grace and calling, such that Simon Peter, his brother and partners leave everything and follow him. Must we leave all of our comforts to follow Jesus? At the least, we should submit to God and ask for wisdom on such things as strengths and sacrifices. Remember from another passage that His brethren are those who know the word of God and do it. Let’s give Jesus the respect of Him being Lord and live accordingly.